Engendering the Early Household Brahmanical Precepts in the Early Grhyasutras Middle of the First Millenium B.C.E. Books > History > Sociology And Anthropology > Engendering the Early Household Brahmanical Precepts in the Early Grhyasutras Middle of the First Millenium B.C.E. The household is a space for production and reproduction activities, for social bonding and socialisation, and for carrying forward traditions as well as initiating social transformations. Far from being a ‘private’ space, separated from the public domain, households are repositories of traditions, they function as crucibles where political ideologies are practised, where social hierarchies are actually executed and where social relations are constantly and intensely negotiated. Women have been linked to the household through the ages. Yet, it is only now that the contribution of women towards the overall socio—economic development of societies is being recognised. The value of their labour and their reproductivity, their role in maintaining traditions and forming societal linkages is gradually being underlined. However, in Brahmanical texts, women are marginalised from religious roles, ritual activity and from education and formal learning. The purpose of this work is to throw open certain questions in the context of early Indian history to see how women’s roles are perceived and how ideological constructs are projected in normative Brahmanical literature in such a manner that women are marginalised in the very domain that they are identified with—the household. When and how did the separation of women from the public sphere, decision—making and managing resources come about? Was it parallel to the growth of complex state and social institutions? Why are women alienated from resource management and the control of resources even though they play a crucial role in resource generation, and why does this go unrecognised in Brahmanical tradition? These are some issues that are taken up in this work. The topic requires a multi—pronged approach. On the one hand, the dichotomy between apparent, textual projections and the actual roles of women has to be placed in a historical perspective. On the other hand, the ideology and the strategies behind the compilation of texts like the Grhyasutras, solely devoted to the household, have to be analysed. Brahmanical religious precepts and rituals must be evaluated on the basis of transformations in the structural constructs of Brahmanical ideology. These constructs are not homogenous or monolithic, but constantly changing, dynamic and assimilative, and simultaneously, hierarchical and exclusive. This understanding has to be integrated with a sociological and ethnological understanding of how the household is perceived in the Grhyasutras and how the construct of the ideal grha that the authors of these texts make fitted in with social reality. This work aims at viewing the subject from all these perspectives and placing them together to have a clearer picture of how women’s roles were perceived in the household in early Indian history. I have included detailed descriptions of how rituals are to be performed in order to familiarise the reader with the vivid manner in which they are described in Brahmanical texts. For this, I have mostly depended on translations of H. Oldenberg, The Grhyasutras, Parts I & II, from the Sacred Books of the East series, along with a few of my own improvisations. The work is based on my doctoral dissertation that would not have been possible without the help of my supervisor, Professor D. N. Jha. He encouraged me to look for all the varied possibilities that could be incorporated in this kind of work and gave me space to express myself fully. I have gained immensely from his versatility, knowledge and erudition. I also thank the teachers of Delhi University, all my teachers in Lady Shri Ram College, who nurtured and encouraged my interest in history, and the professors at the Department of History in Delhi University, especially, Professor K. M. Shrimali, Professor T. K. V. Subramaniam and Professor Bhairabi Sahu for their keen interest and valuable suggestions at the pre—submission stage. My interest in gender studies has been influenced by the works of Uma Chakravarti and Kumkum Roy who have brought gender issues in ancient India to the fore with a passionate determination. I am particularly indebted to the Women’s Study Group of which they were an integral part, where many of the ideas related to this work were first put forth. I was fortunate to be in Cambridge, Massachussets during the crucial time of collecting material for my dissertation. I am grateful to Professor Michael Witzel and the Department of Sanskrit and Indian Studies at Harvard University for the help that was extended to me. I am thankful to the staff of the Widener Library, the Tozzer Library and the Andover—Harvard Theological Library in Cambridge, Massachussets for allowing me to access their books. I am especially grateful to the staff at the library of the Indian Council of Historical Research, New Delhi, S. Sahay the librarian, Nar Dev Sharma, and Krishna who have always been extremely helpful. It has always been a pleasure to work there. The staff at the National Museum Library, Delhi, and the Indian Institute of Advanced Studies, Shimla, were extremely ingenuous in unearthing books. I am also grateful to Dr. A. Sankara Reddy, Principal, Sri Venkateswara College and the staff of the college for their help at every step. My colleagues in college, particularly Biswamoy Pati, Anshu Malhotra and Ratna Raman and the teachers in the college’s Department of History are responsible for providing me with the intellectually stimulating atmosphere that every teacher thrives on. I would also like to thank Nandini Rao, Hemlata Shankar and Anupama Ramakrishnan from Orient Longman for their interest and encouragement. I thank my parents, B. K. Sinha and Janaki Sinha, for their belief in my abilities and for having been a constant source of inspiration for me. My husband, Ajay and son, Akshay, lived and breathed this work along with me from its inception to completion with utmost patience and constant support. Jayant, Poonam, Madhav and Jayati provided welcome diversions with their unlimited reserves of laughter and joy. My friends and family, Papaji, Mummyji, Harish, Anju and Alok provided invaluable support. This work would not have been possible without everyone’s support, especially my father’s, whose presence I felt at every moment while working on this book. This book is dedicated to him. Engendering the Early Household is a socio-historical study of the Grhyasutras, which are texts that detail rituals for the household. Compiled after the Vedas and the Bramanas, they represent how Brahmanical ideology came to be consolidated and how varna and gender hierarchies solidified. 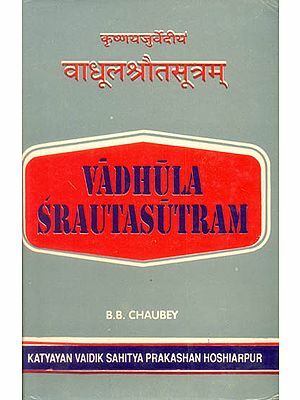 Using the texts, this book presents how the Grhyasutras assimilated and ‘brahmanised’ commonly practised rituals in a selective manner, highlighting only rituals centred around the household. Jaya Tyagi’s study of the early Grhyasutras reveals how these texts project the household as a ‘sacred’ space that has to functions-production and reproduction. 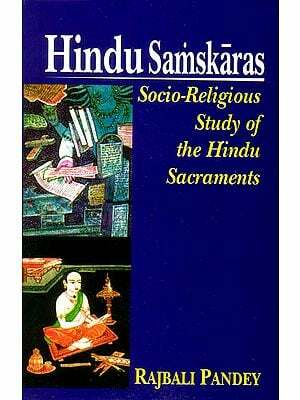 This book also reveals the deep roots of Brahmanical traditions by studying how grhya rituals seek to ensure the birth of male progeny for the male householder. The Grhyasutras thus project a social construct in which households are to be considered the personal domains of householders, which bramanas function as the custodians of social order through the mechanism of rituals. Engendering the Early Household is an incisive and well-researched account of the patriarchal biases of Brahmanism and goes even further to shed light on how norms laid down in the early Grhyasutras continue, though in varied forms, till date.